Download Kendal at Oberlin's Brochure Today! Kendal at Oberlin is a retirement community offering vibrant independent living in an eclectic college town. And for the future, assisted living and skilled nursing are also available on the same campus. 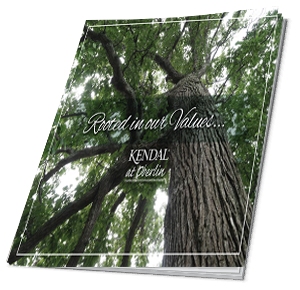 Rooted in Quaker values, Kendal offers a simple and resident-driven living environment that truly delivers a great place to live life to the fullest.